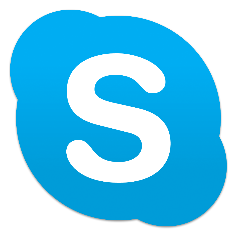 Skype allows its users to connect with other people from all over the world via messages, voice and video calls. When it is used in learning environments, students can connect with other students, educators or interesting people who can help them to expand their horizons. In the classroom, it allows students and educators to collaborate with other classes. Foreign-language teachers can take advantage of it in order to reinforce second-language acquisition by partnering with a class in another country. Skype in the classroom helps teachers to connect to guest speakers who can offer their expertise during a Skype lesson with a class. A Skype lesson is a fantastic way to engage your whole class. Students can be assigned different roles to keep everyone involved throughout the lesson. These can include greeters, interviewers, bloggers, timekeepers etc. Skype Collaborations – skype offers educators the opportunity to create connected classrooms. See ouf YouTube channel for great examples of elementary and primary schools connecting. Principles are the same for VET and HEI. Mystery Skype – great for cultural awareness and injecting a bit of fun into the class/lecture room, learners can play games with other classes similar to theirs in different parts of the world. Guest Speakers – great way for teachers to engage expert speakers from around the world and have them give presentations to their students. Interested in finding out more about Skype and how you can use it your class or lecture room? We have completed a pedagogic assessment of this tool which details its strengths and weaknesses based on its potential for innovative teaching strategies. In 2014 Skype in the classroom was part of the historic Mission 31 expedition during which Fabien Cousteau and his team broke new ground in ocean exploration. Fabien and his team spoke with classrooms around the world via Skype. This video showcases 3 of those calls. Some of the pupils had never left their local area and were transported into a world deep beneath the sea. Their fascination evident, Fabien answered questions and offered glimpses into life as part of Mission 31. “My students became lifelong learners because they understood the power of using learning to affect real change in the world.” Skype in the Classroom is an online community that enables thousands of teachers to inspire the next generation of global citizens through transformative learning. See all the possibilities Skype in the Classroom can bring! Join our community today: www.education.microsoft.com/skypeintheclassroom. Skype helps bridge the distance between a school in Auckland, New Zealand and one in Los Altos, California. Students get a global education with Skype in the classroom. Skype in the classroom bridges the distance between countries as students from the US meet with students from South Korea and Canada. Find out what Skype can do to connect your classroom to the world. By 2020, it is estimated that one million computer science jobs will go unfilled because there are not enough students graduating with the right technical skills. Code.org and Skype are teaming up to bring tech professionals into classrooms around the world to help give students and teachers a better understanding of the various roles available in computer science. Free and easy way to use Skype for online student conferencing including a simple way to share your screen with students. Fitta from Indonesia asks: I want to use Skype with my students. Please give me advice and activity tips on how I can do this! Struggling in your math class? I can help, regardless of where you live. Get more info at http://www.hensontutoring.com. Are you a tutor looking to begin tutoring online? Visit http://how-to-tutor-online.com to find an e-book I created with links to all the software and technology you'll need to get started. Best of luck! Step 1: Visit https://education.skype.com to join. If you have one already, simply use your Skype username and password to log in. Teachers have already created thousands of lessons on Skype in the classroom. Taking part in one of these is a nice way to start using Skype as part of your lesson plan. Once you’ve found a lesson you like, simply click the ‘Register for this lesson’ button. We’ll notify the person running the lesson and you should hear from them soon. Another way to start making connections is by messaging other teachers directly. It’s easy to do – you will find a message button on lesson pages and on every profile page. You can also add someone as a Skype contact on his or her profile page. It’s important to connect on Skype so you can plan your lesson and have access to video calling. You can use instant messaging, or a Skype call, to chat once you’ve connected. Step 5: Create your own lesson! If you already have a fantastic idea for a Skype lesson and can’t find anyone else doing the same thing, then creating your own is simple. The more detail you’re able to provide to other teachers and classes in your lesson description, the more likely you are to make a fantastic connection. Include things like the subjects you’ll be covering, the length of the lesson and what your objectives are. A great image or video will also make it easier for other teachers to find your lesson. Once you’ve published your lesson using the simple form, other teachers will be able to find it, register to take part and get in contact with you. 5. Action – Ready to start your first Skype Lesson? Your learners know what to expect and their roles.